Before we answer that question lets us first understand what SAP is. SAP stands for Systems, Applications, and Products in data processing. It is German-based ERP software, which has been among the most effective business software, which has stood the test of time. In most contemporary companies, the knowledge of SAP is almost a basic necessity. Hundreds of young graduates are taking up SAP training across various platforms. When you want to take up an SAP coaching, one of the most obvious questions is, do you prefer SAP authorize training centre or a non-authorized one. It all boils down to finding a good SAP Real-Time Trainer through references, or going to an authorized training centre or finding a well-reviewed un-authorized training centre which boasts of excellent faculty. With growing demand for SAP software, multiple institutes have sprouted throughout cities. These institutes charge anything between 18k and 25k. However, many of these institutes do not have statistics showing effective results. Thus it becomes essential to filter out the non-performing ones. This can just be done by considering your choices only the authorized centres. This can narrow your options. Authorized centres have a benchmarking system, and will thus stand out and above unauthorized institutes. 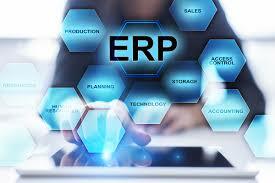 The SAP is extensive software, which has been among the most successful business software package. It works on real-time data processing to map the organization’s expectations and helps to innovate new functionalities every day. It is thus an essential tool that organizations make use of. When a candidate claims he is adept with SAP, the companies usually expect some form of verification of this fact. Thus, having a degree goes a long way to help your resume to stand out. However, only authorized SAP centres will be able to give you certificates. This adds to the second advantage of authorized institutes over unauthorized institutes. You will undoubtedly have a fixed budget for your investment to achieve this new skill. Thus you consider weighing the cost or investment while learning SAP from a mentor, or an authorized institute or an unauthorized one. While you are fixing your budget, you must consider the value addition to your skill set. Also, the actual requirement of the certificate is to be considered. Authorized centres usually charge about 8k to 12k more than unauthorized ones. Now you may question if going to an authorized centre guarantees placements. Well, the straight answer is it does not. In addition to obtaining a certificate, which is no doubt very important, it is also very essential to have some prior experience. Any job experience in a related field will not only give you confidence but also form a good foundation and makes you more employable. This should be one of your prerequisites for career planning. In spite of an SAP career being rewarding, it is very challenging to land one in India. On the Stechies website, there is a lot of information about SAP, SAP training, and institutes. It will serve as your one step stop to help you plan a career in SAP.